It will be the year of the Pig starting on February 5, 2019. Festivals, however, may take place during the same time, a week before or a week after. We have a list of 4 Lunar Year Festivals for 2019! Check them out below! Celebrate the YEAR OF THE PIG with San Diego's choice, 3-day festival, dragon and lion dances, firecrackers, games, ASIAN FOOD, FESTIVAL FOOD and more! Bring your cameras, your kids, your piglets and be ready food, folks and fun! Adults are $6 and Kids under 13 are $4 per ticket. Mira Mesa Tet Admission Price: Free! See our preferred hotel picks! Free admission! Come celebrate the Lunar New Year 2019 at the International Cottages with House of China, Located in Balboa Park. This is a 2 day event, free and family-friendly! Year of the Pig Celebration! Location: Downtown San Diego. The fair will be held on February 16 and 17, 2019 in the Asian Thematic Historic District, on Third Avenue and J Street in Downtown San Diego. Admission is free! The great thing about it being in downtown is that there are a lot of parking structures you can park at. Come join in the fun that is being celebrated by all communities! Usually the Vietnamese (Lunar) New Year, also called "Tet" is 1 - 2 months after the American New Year's Day. Therefore, the year of the new animal doesn't start exactly on Jan 1. The Vietnamese New Year and Chinese New Year are always on the same dates of each other. They share the same calendar. Planning a vacation to San Diego? Find San Diego hotels online. 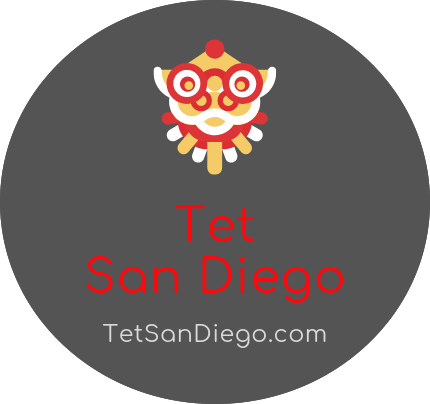 Find the San Diego hotels closest to the Tet Festivals. Planning a vacation to Little Saigon in Santa Ana, California? Find Santa Ana hotels online. Find the closest hotels to Phuoc Loc Tho. Looking for a Vietnamese-speaking REALTOR? Buy a Home with the help of a Vietnamese-American REALTOR® in San Diego. Interest rates and the market goes up as the economy improves. If you have challenges with English and would like to find a Vietnamese-speaking realtor to help you find the right home, contact or email at Duong Vo at 619-402-7798 or email duongquangvo@hotmail.com (will return your email within 24 hours). Duong Vo is a realtor for Norths Realty & North Wind Mortgage in San Diego for over 7 years and can help you find your search for the ideal home. Whether you're a first time home-buyer or not, Duong will help you find a home within your budget and needs. He has lived in San Diego for over 30 years. Sound Solutions Auto Styling in National City offers state of the art auto services for audio/video, navigation, lights, rims and other accessories. This shop is run by a Vietnamese-American family so we have someone who speaks Vietnamese if you need assistance. Please email at marketing@thepacificbeach.com for any questions about the Tet San Diego website. Happy new year!